Seeing red? Feeling blue? Or are you, perhaps, green with envy? Color has long been associated with mood. It can pump you up or bring you down—and everything in between. When home decorating, choose your colors wisely, as they can have a profound psychological effect. common mood associations with popular colors. When we see an empty room—void of color, furniture, and knick-knacks—our human instinct is to fill it up. Bring on the flair! Bring on the stuff! But resist the urge. An empty room is an opportunity to create a mood, and it all starts with color. Our tips and tricks make it as easy as a Paint-by-Numbers portrait. Before you automatically reach for your favorite color, think about how you want to feel in a room versus how you want it to look. Do you want to feel awake and energized? In an office maybe, but how about in the bedroom? You may find that your least favorite color, in fact, sets the perfect mood. When choosing color, most of us go straight to the paint, but consider your furniture first. Paint choices are unlimited, but you’ll be more restricted with furniture and accent colors. 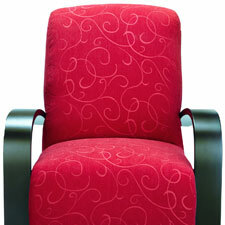 Furniture also is longer lasting, while it’s relatively easy and inexpensive to swap out your paint color. Colors behave in three basic ways: active, passive, and neutral. Red, for example, is an active color (it is said to raise the heart rate); blues and greens are passive; neutrals include shades of grey and white. Lighter colors are expansive and airy. They can make a room seem bigger and brighter. Darker colors are more intimate and sophisticated. Zero in on three colors for one room. Any more and your space will begin to look cluttered and confusing. That said don’t be afraid to mix colors. Choose two complementary colors such as blue and yellow to make both colors pop. When choosing a paint color, place your swatches against a neutral background—not against the wall color they will replace. An old board painted white makes an easy backdrop for swatches. It doesn’t have to be all or nothing. If you love a bold color, but fear it will overtake the room, start with a single wall. Paint one wall a dynamic pink, for example, and the other three a neutral cream or tan. Fun fact: Studies show that the color red increases heart rate, blood pressure, and adrenaline levels. 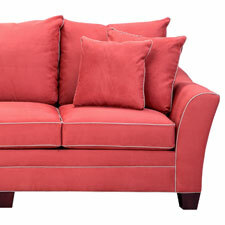 Make a splash with a red chair or sectional. Fun fact: Orange is the only color on the spectrum named for an object—the orange fruit, of course. Ease in with an orange-tinged sofa. Avoid it in: Yellow can be used in nearly every room, but don’t go overboard. Studies have shown that people tend to lose their tempers and babies cry more in yellow rooms. It is best used as an accent color. Fun fact: In the Hindu belief system, yellow represents the solar plexus chakra. Add some pop with a yellow-toned rug. Works best in: Green is a safe bet for any room. It has also been said to promote fertility, making it a natural choice for the bedroom. Avoid it in: There’s no reason to shy away from green. 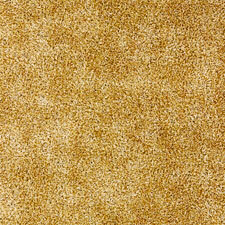 It has a calming effect as the main color in a room or as an accent. Fun fact: In the 15th century, brides often wore green because of its connection with fertility. 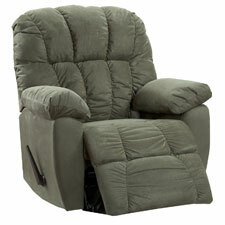 Rest easy in a green recliner. Avoid it in: Blue works in most rooms, but be careful about what shade of blue you choose—some can be chilly and bring the mood down. Warmer blues include: periwinkle, cerulean, or turquoise. Fun fact: Blue became symbolic of the male gender around the twentieth century. 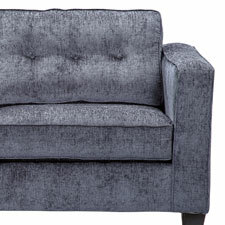 Sink into a cushy blue sofa. Avoid it in: Purple works in nearly every room. Lighter purples such as lavender produce the same calming effect as blue; darker purples such as eggplant signify wealth and royalty. Fun fact: The word “purple” comes from the Greek porphura, a species of jellyfish that yielded a dye called Tyrian Purple. Go lux with purple bed linens. 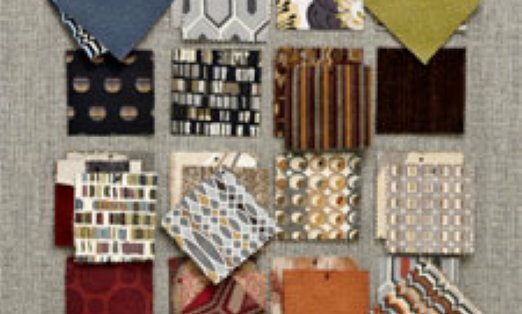 Work with various shades of white, black, grey, and brown. Add pops of color where you feel comfortable in easy-to-replace items such as accent pillows or knick-knacks. Use black sparingly—it adds weight to the room and works best as an accent color. If you stay neutral on color, consider objects with interesting shapes: an oddly shaped lamp, for example, or a beautiful piece of wall art. Varying texture also adds a layer of interest to a neutral room. 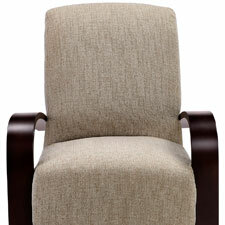 Pair beige velvet chairs with a rustic table, for example.